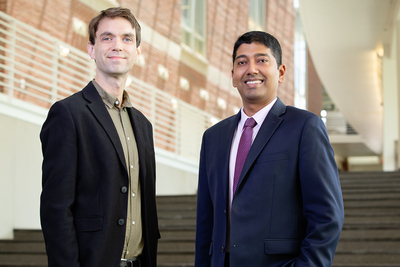 Arnab Chakraborty, right, a University of Illinois professor of urban and regional planning, and Andrew McMillan, left, a former doctoral student at the U. of I. and a current postdoctoral fellow at the University of Maryland, found that communities with more diversity in types of housing have lower foreclosure rates and can better weather a housing crisis. CHAMPAIGN, Ill. — Places with more diversity in types of housing are more stable and can weather a housing crisis better, say University of Illinois researchers. 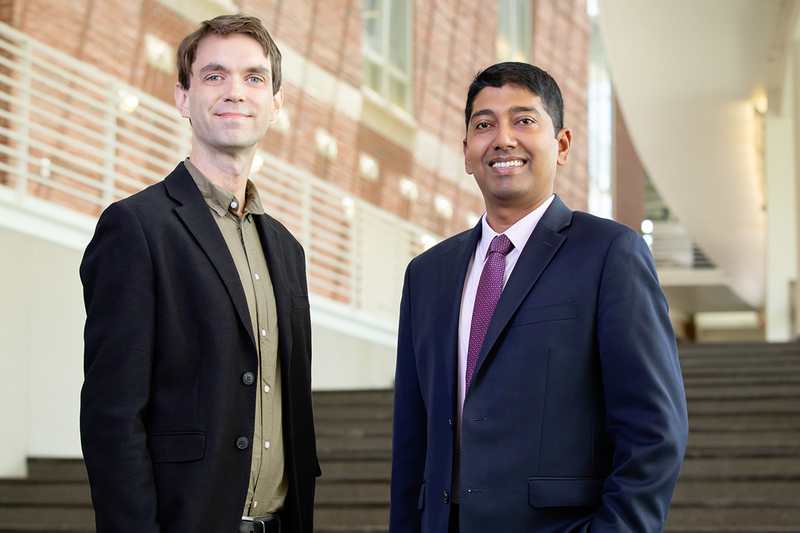 Arnab Chakraborty, a University of Illinois professor of urban and regional planning, and Andrew McMillan, a former doctoral student at the U. of I. and a current postdoctoral fellow at the University of Maryland, looked at the connection between housing diversity in a community and its home foreclosures during the Great Recession. They defined housing diversity as a broad range of available housing types and price levels, and they found that communities with lower housing diversity had higher rates of foreclosures. Their findings were published recently in the Journal of Planning Education and Research. The researchers looked at 14 metropolitan areas across the country, examining structural factors at not just the municipal level, but also at the neighborhood level using census tract data. “This crisis affected the entire country. But it’s also true that some communities were harder hit than others, and some communities recovered more quickly than others. And this occurred within the same metropolitan areas,” Chakraborty said. He and McMillan looked at two measures of diversity in housing – the mix of existing housing units in an area, such as single-family homes, duplexes and multifamily units, and the zoned or allowable residential densities. They collected data from 2005 through 2013 on home foreclosures in those areas, as well as sales rates that would indicate the extent of an area’s recovery from the housing crisis. They wrote that while neighborhoods characterized by higher average incomes are viewed as more stable, they offer little in the way of affordable housing, and that lack of housing diversity could lead to higher foreclosure rates in a crisis. Those who want to live in a neighborhood with higher home prices to be close to their workplaces, to have their children attend nearby schools or to own a new home may buy a home beyond their affordability, Chakraborty said. They found that the types of existing housing had a much greater influence on an area’s stability and on the foreclosure rate than did the zoning, and they said planners should consider the needs and preferences of homebuyers and try to match them with housing inventories. Planners often assume that higher-income housing is preferable because of the financial benefits it provides a community through property tax revenue. Homeowners worry that their property values may decrease if multifamily housing is built in their neighborhood. But the risk to overbuilding or overzoning for higher-income housing is that a neighborhood may have empty housing stock if not enough people can afford to live there or if there is a major market downturn that forces some homeowners to leave for more affordable housing. Chakraborty said housing diversity plays a role in recovery as well, in that a neighborhood with a mix of housing stock will be available to a greater range of potential buyers. Housing at the moderate- to low-income end of the spectrum is also easier to rent, he said. Chakraborty noted that factors such as mortgage characteristics, lending practices and borrowing behaviors are important to look at when considering how to make a housing market more stable. But he and McMillan hope their research helps planners understand the value of a diverse housing stock that meets the demands of a city’s population. Chakraborty also noted that providing a diverse housing stock within municipal boundaries may not be sufficient. He cites the census tract-level finding of this work as evidence that suggests a need to consider diversity of housing at a finer, neighborhood scale. Editor’s notes: To reach Arnab Charkaborty, email arnab@illinois.edu.